Coming soon you will be able to check fishing spots on the lake or river near you. 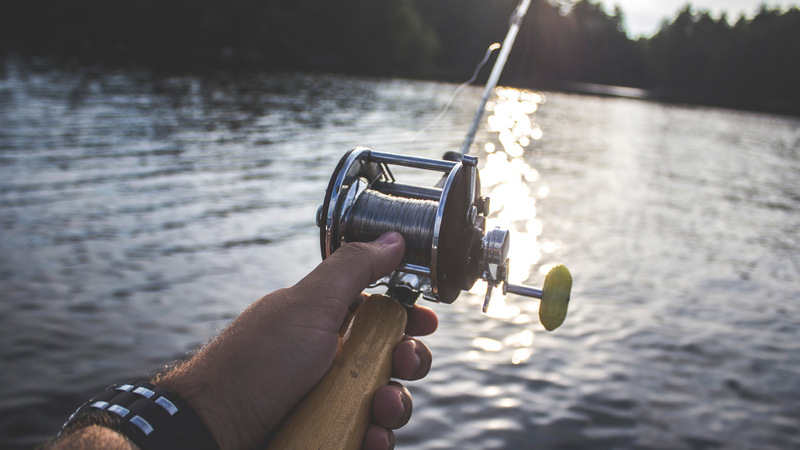 Our Fishing Spots feature will show what fishes people catch near you. Allow you to quickly and easily attach, remove or reposition a sinker on your fishing line. Rubber core sinkers have an alloy football shaped body. The sinker is filled with a rubber core. A split groove allows the fishing line to pass through and attach the sinker. At a first look the Voltage Microlite Spin Fishing Reel by South Bend seems to be a quality, nice looking spinning reel at a bargain price. The colors are not as metallic as seen on other photos. The spinner looks and feels like a quality spinner. The body has a dark green color that fades into a bright orange. The blade is attached to the body by a fine wire which allows it to spins around freely. This is a medium diving crankbait which dives about 6 to 8 feet deep. It comes with a rattling ball inside and when shaken you can definitely hear the ball inside make some noise. New series Scatter Rap crankbait lures from Rapala. Get the most erratic crankbait action anywhere and catch more fish. Blue Fox River Trout Spinner is a professional well made fishing spinner that will catch fish. It is more expensive than others but it works well and its definitely worth the money. Barkley Powerbait Salmon Egg bait is a foamy soft bait which you can make look like salmon eggs. 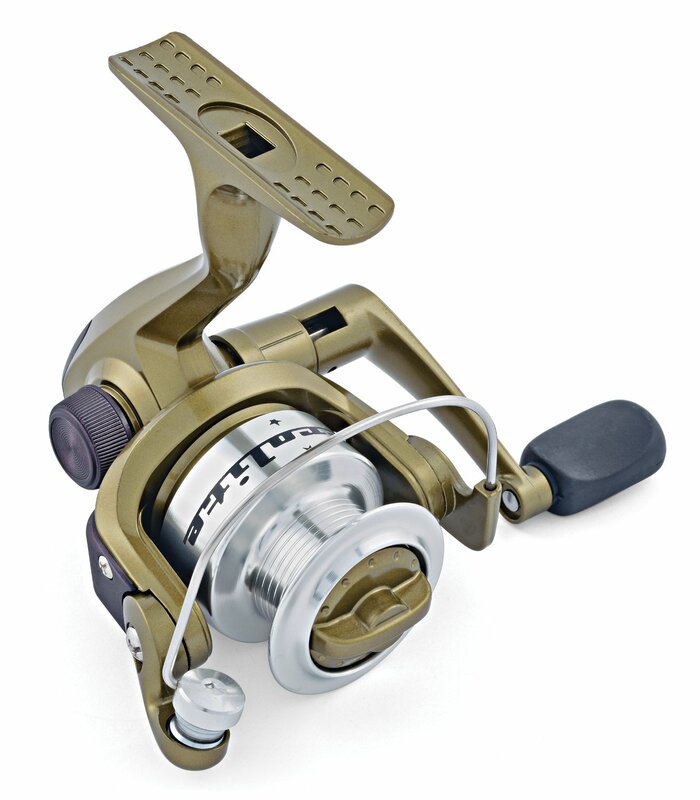 This Microlite Spinning Reel by South Bend features right/left hand retrieve, front adjustable drag, forged aluminum spool, constant anti-reverse a balanced rotor and a precision line roller. 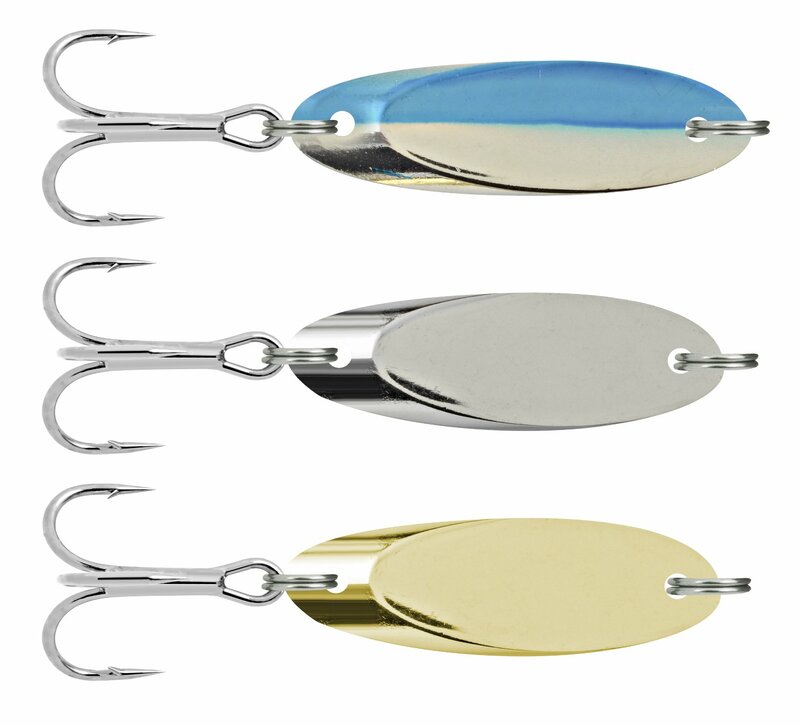 The South Bend Kastaway Fishing Spoons come in a 3 pack and are great at catching Trout, Panfish and Bass. Colors include silver/blue combination, all silver and all gold. The Proberos deep diving crankbaits feature great graphics and great price for a pack of 6. 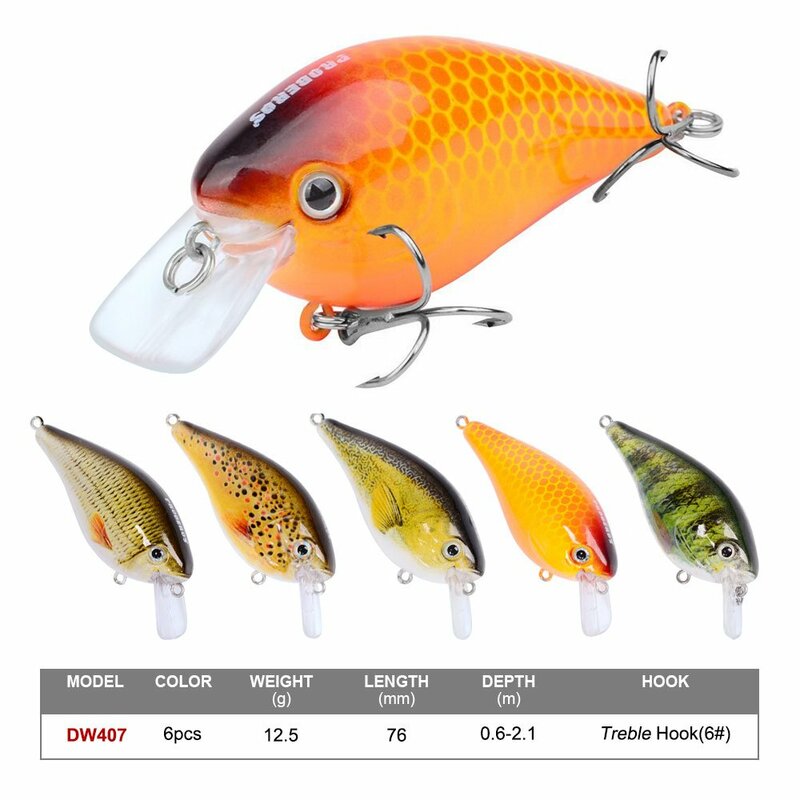 Great choice for inexpensive and cheap but quality crankbaits. 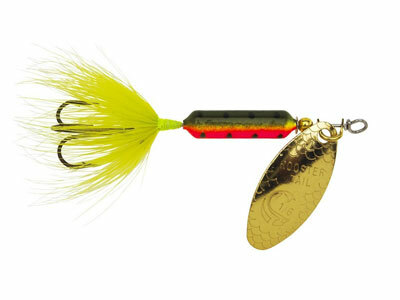 The Yakima Rooster Tail Spinner is a great lure that attracts fish. The Yakima Rooster Tail produces a unique vibration from the tail and blade as it goes through the water that attract fish. icatchFish is here to bring you the best deals and value in fishing equipment, fishing gear and lures. We try to find you the best fishing equipment that catches fish at the most affordable price. You can also find useful product reviews and fishing information that will help you catch more. No matter if it's crankbait, fishing line, rods, sinkers or more, you'll find it all right here.